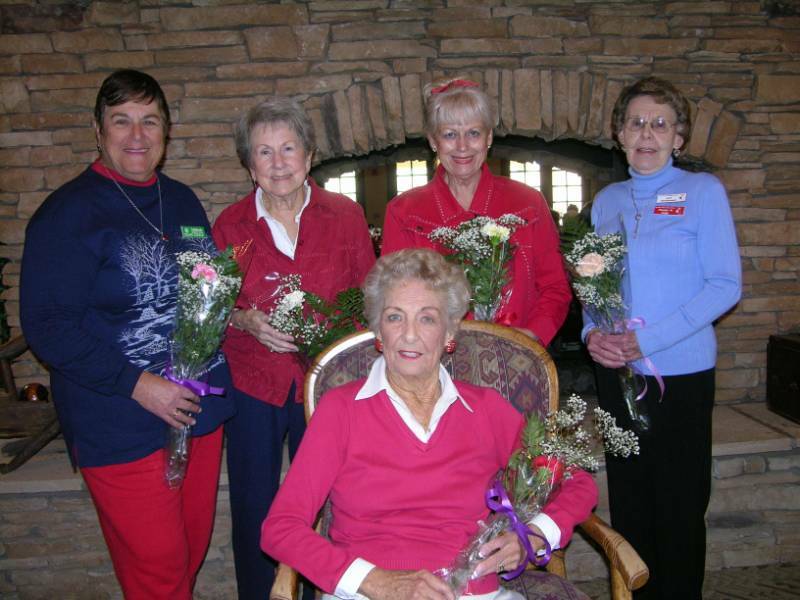 The MountainView Lady Putters was formed in 1998 by Lou Ann Garvin. She gathered 33 interested ladies. After much negotiation with the Golf Pro of MountainView in February 1998 the MountainView Ladies putted their first round. Our group is dedicated to fun and enjoyment, not competition. Our charter members are: Lou Ann Garvin, Founder, Bev Weiher, Vi Kaim, Jean Sebert, Joan Holmes, Bev Burns, Carolyn Schrader, Mary Sevigny, Leona Peters, Laura Eckel, Marge Gwinn, Ans Christiansen, Sally Wragg, Marie Winkelman, Judy Kany, Barbara Busacker, Olga Rush, Lilly Kruger, Julie Niendorf, Dolly Pettet, Patsy Partridge, Mary Tomann, Betty Balthrop, Roberta Spector, Janet Fox, Betty Gebers, Greta Fritsch, Darlene Pitman, Solvieg Nelson, Lois Corbett, Shiela Wangerin, Joan Evans, Diane Steele, and Joan Kwaitkowski. We have grown from those 33 ladies to our present number of over 130 putters. See what you started Lou Ann!